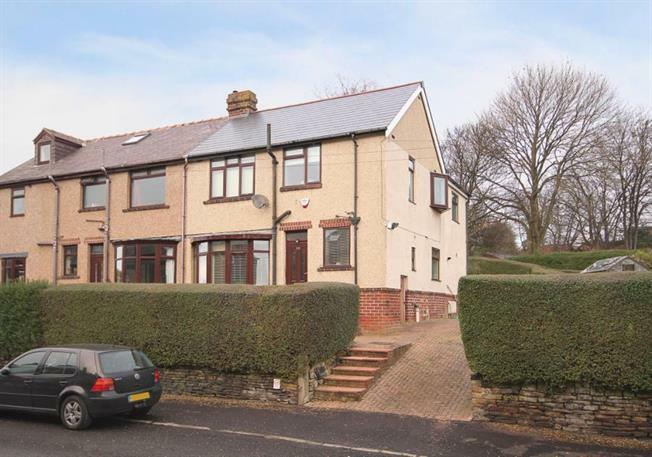 4 Bedroom Semi Detached House For Sale in Sheffield for Guide Price £340,000. A wonderful four bedroom semi detached family home set on this good sized corner plot in this highly sought after residential location. Benefitting from gas fired central heating, uPVC double glazing and a block paved driveway for several vehicles with room for garage subject to any necessary planning permission. Situated only a stone's throw from Broomhill, Crosspool and Crookes having a range of local amenities, close to principle Hospitals in Sheffield and Universities alike and having sought after and highly regarded school catchment and public transport links. The accommodation briefly comprises: Spacious hallway with ground floor WC, fantastic lounge with front facing bay window having built in shutters and feature French style doors also with built in shutters accessing the rear garden, spacious dining kitchen with a range of white high gloss wall and base units and integrated appliances to include: gas hob, electric oven, extractor fan and dishwasher, along with space and plumbing for an automatic washing machine and fridge/freezer. To the first floor landing are four well proportioned bedrooms, three of which are double rooms all having a range of built in wards and bedroom four currently being used as a home office having built in desk/storage and laminate to the floor. Bedroom two provides loft access via a pull down ladder with power and lighting and being boarded. Family bathroom having an attractive contemporary three piece suite in white comprising: wash hand basin and low flush wc in combination vanity unit and bath with mains shower and shower screen above. Tiling to the walls, laminate to the floor, spot lighting to the ceiling, extractor fan and ladder radiator. Outside: To the front is a good sized garden with privet hedging with side block paved driveway providing ample off road parking with access to an under house storage cupboard. Whilst to the rear of the property is a blocked paved patio area with steps rising to a well proportioned slit level garden, first tier being lawned and second tier pebbled for low maintenance with garden shed.